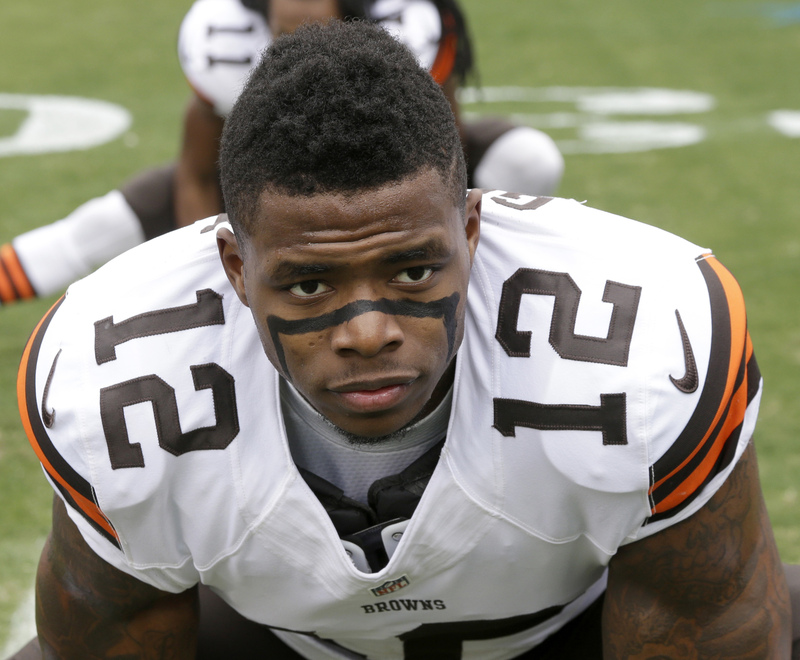 CLEVELAND (AP) — Browns wide receiver Josh Gordon was back at practice on Sunday — as a spectator. Gordon visited with teammates and Hall of Famer Jim Brown a day after ending his three-week absence from training camp and missing the first two exhibition games to work on his mental health and sobriety. The former Pro Bowler appeared to be in a good mood — and in excellent shape — as he stayed to the side and worked with trainers on his conditioning. Gordon, who has missed most of the past four seasons because of violations of the NFL’s substance-abuse policy, has not been cleared to practice. He may attend meetings and practices but is prohibited from being on the field. No timetable has been set for Gordon’s return, but coach Hue Jackson said Saturday it’s possible he could play in the Sept. 9 season opener against Pittsburgh. Wide receiver Jarvis Landry feels the same. Gordon led the league with 1,646 yards receiving in 2013, when he burst onto the scene and became one of the league’s most dynamic players. Landry was a junior at LSU and remembers it well. Landry feels that with Gordon on the field, defenses will have a hard time focusing on any one Cleveland receiver.